8, 24, 40, hour hazardous materials training. Site specific courses can also be created for your company’s needs. 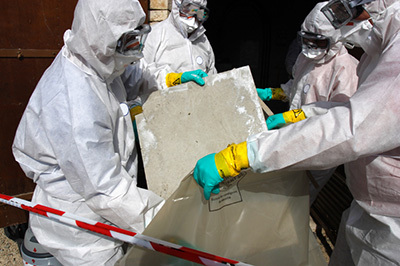 Often referred to as Asbestos Awareness, 16 hours O & M, and Asbestos Worker Class III, this course provides the training needed for those workers who may disturb small amounts of asbestos as part of plumbing, electrical, repair, restoration etc. It fulfills the requirements for OSHA Class III work, as well as requirements under EPA/AHERA rules, schools and public building policies. The competent person shall be trained in aspects of asbestos handling appropriate for the nature of the work, to include procedures for setting up glove bags and mini-enclosures, practices for reducing asbestos exposures, use of wet methods, the contents of this standard, and the identification of asbestos. Such training shall include successful completion of a course that is consistent with EPA requirements for training of local education agency maintenance and custodial staff as set forth at 40 CFR 763.92(a) (2), or its equivalent in stringency, content, and length. Competent persons for Class III and IV work, may also be trained pursuant to the requirements of paragraph (o) (4) (i) of this section. Often referred to as General Asbestos Awareness, 1 hour asbestos awareness, and Asbestos Worker Class IV this course provides custodial and maintenance personnel with basic knowledge of asbestos-containing materials, how to respond to asbestos emergencies, recognize asbestos hazards, and how to prevent exposure to themselves and building occupants. 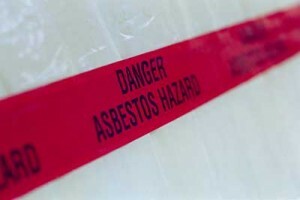 The class satisfies the AHERA and OSHA Class IV requirements for training employees who have the potential to come into contact with, but do not disturb asbestos containing materials.